The Holiday Inn Garden Court Paris Elysees, a few steps away from Miromesnil subway station, offers an attractive location in the heart of Paris, between the Champs Elysees & the “Faubourg St Honore” , close to famous department stores, the Concorde square & luxury shops of Vendome Square. 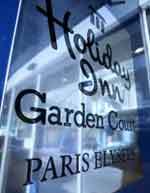 The Holiday Inn Garden Court Paris Elysees is indeed in the area of the famous “Golden Triangle” formed with Champs Elysees, Montaigne and Georges V avenues. 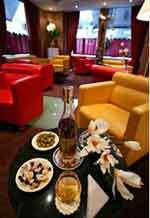 Moreover, the Holiday Inn Garden Court Paris Elysees enjoys a quick access to Congress Centre and La Defense events. Finally, the greatest tourism attractions like Eiffel Tower, Trocadero, Opera House & Louvre Museum are several subway stations far. 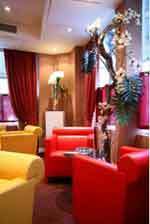 Our staff will be pleased to guide you from Roissy Charles de Gaulle & Orly airports , and from the major train stations. You will find also useful help during your stay in Paris while organizing your trip to Chateau de Versailles or Bateau Mouche cruise . Wifi & High Speed Internet Access are available in the entire property: meeting room, bar & the 43 rooms all equipped with flat screen TV, minibar, individually controlled AC, safe & double glazing . Several paying public parkings are in the hotel area. The hotel is very close to Miromesnil subway station on line 9.